The beginning of the Muslim calendar is associated with one of the most important events in the history of Islam - the Hijra, that is the transfer of the Prophet Muhammad from Mecca to Medina. After a two-week journey, on September 21, 622, he entered with his associates to the borders of Medina. The beginning of the lunar year, that is, the 2nd day of the month of Muharram, coincided that year with July 16. It is from this day that most of the professors of Islam count the new era for Muslims - from the Hijrah of the Messenger of Allah. 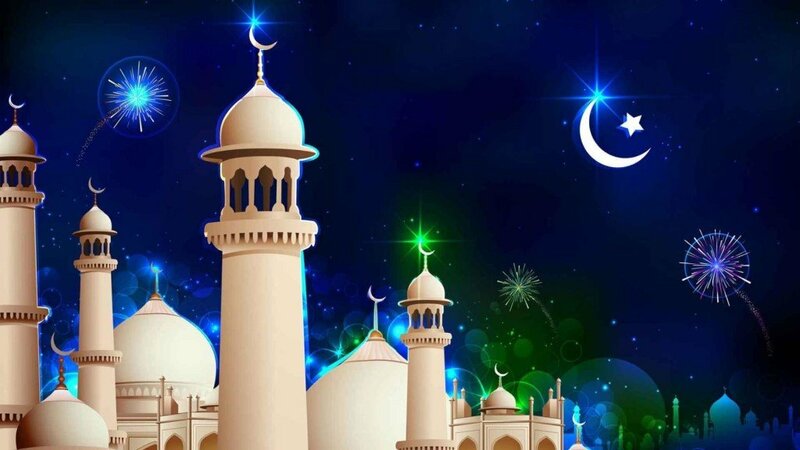 Holidays in Islam are sacred months, days and nights, which are indicated by the Almighty through his Messenger Muhammad, peace be upon him as a special favor of Allah, giving every Muslim the opportunity to increase good deeds in order to succeed in the Hereafter. The Muslim lunar calendar consists of 12 months, each of which lasts from one new moon to the next, namely 29 days 12 hours 44 minutes 3.8 seconds, therefore in some months - 29 days, and in others - 30. Thus, the lunar year consists of 354 days, which is 11 days shorter than the solar one. This explains the annual shift of the Muslim lunar calendar in relation to the solar calendar for 11 days in advance. The main holidays in Islam are the Feast of Sacrifice (Kurban-Bayram, Id al-Adha) and the Feast of Ugaz-Bayram, Id al-Fitr. The sacred nights of Lailat al-Qadr, Lailat al-Bara'at, Lailat al-Miraj, Lailat al-Ragaib, are specially celebrated; holy days Araf's Day, Ashur's Day, the sacred months of Muharram, Rajab, Sha'ban, Ramadan, Zul-Hijjah. Note: each Friday - Juma (day of assembly) -visit to the faithful Muslims mosque for a jointprayer (prayer). It is a day of rest for Muslims around the world. is hecoincides with many events in the history of the Islamic religion: inFriday the Prophet Muhammad was born and his cousin Ali, inFriday, the Prophet and his companions moved from Mecca to Medina.